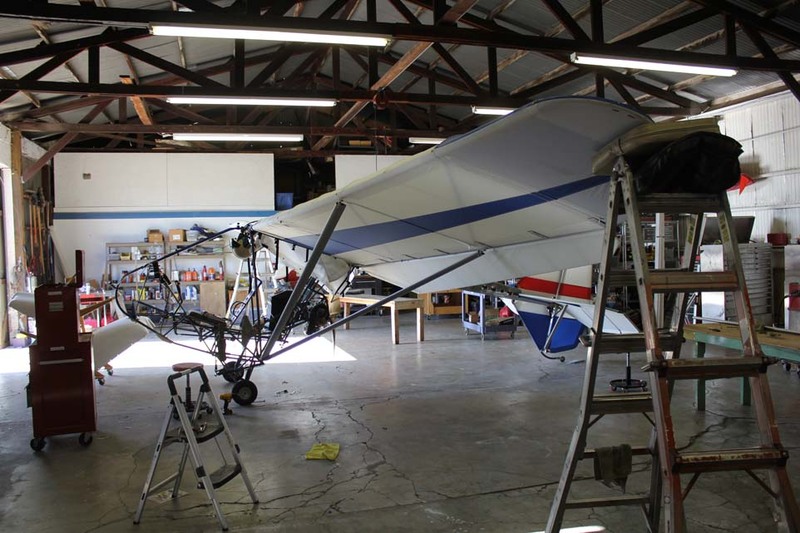 In preparation for reassembly of the aircraft and installation of the wings we have removed the old wing strut assemblies. 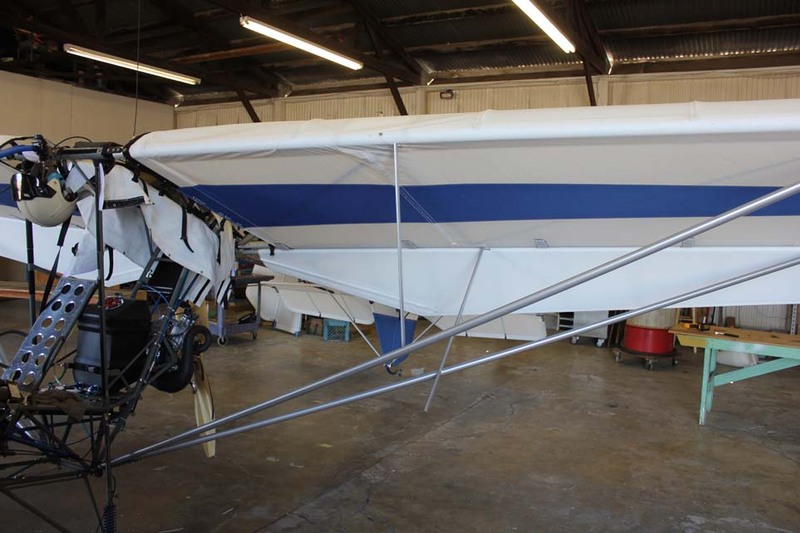 We’ve invested many thousands of dollars in the streamlined wing strut extrusions for the new aircraft and as a result we felt it necessary to leverage our ability to use the streamlined wing struts on the prototype aircraft as well. The conversion to the new wing strut should give the Prototype aircraft a much better look as well as reduce the drag. The wings are being reinstalled back into their original position on the aircraft which provides for the trailing edge on both wings to be parallel and a leading-edge is now swept backwards 3°. We are also reducing the total dihedral in the wing from its original 4° back to 2°. 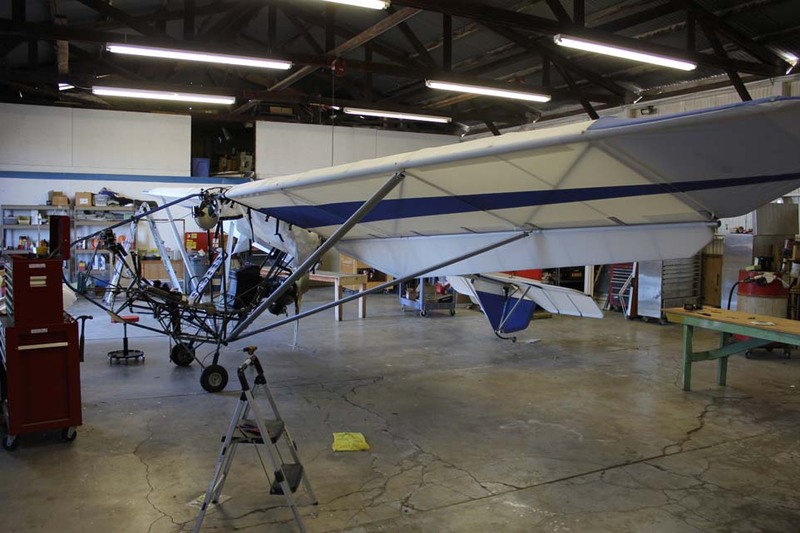 We have propped up each wing and are now ready to start the installation of the new streamlined wing struts. 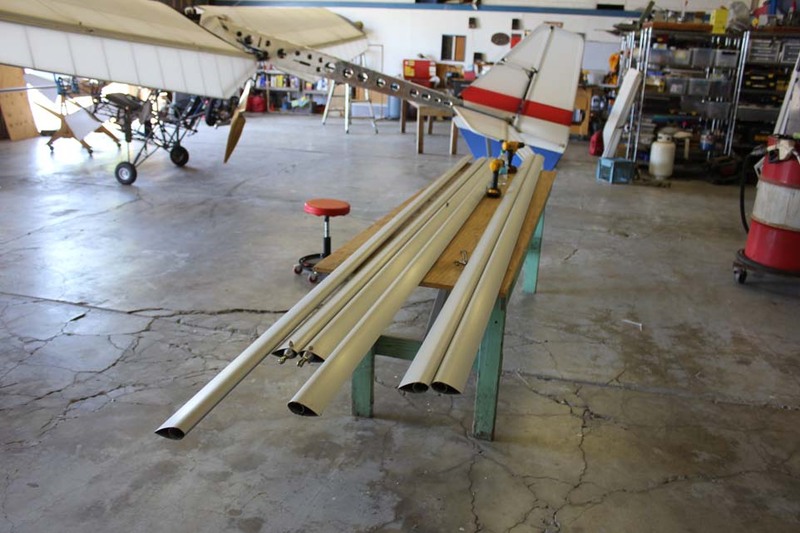 the extruded aluminum wing strut material will be used in place of the round tube with the dope and fabric trailing edge material. This will add a little bit of weight to the prototype but should also reduce a little bit of drag. The left wing with the wing struts installed. 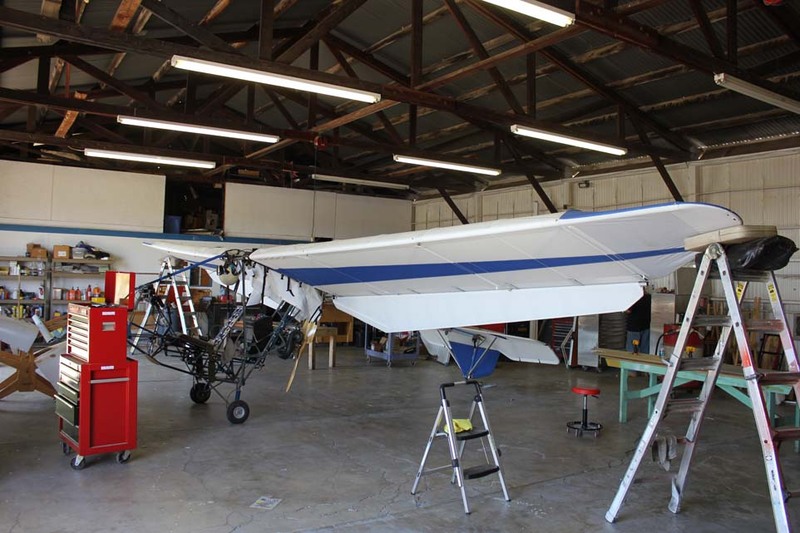 Wing struts installed on both wings now. 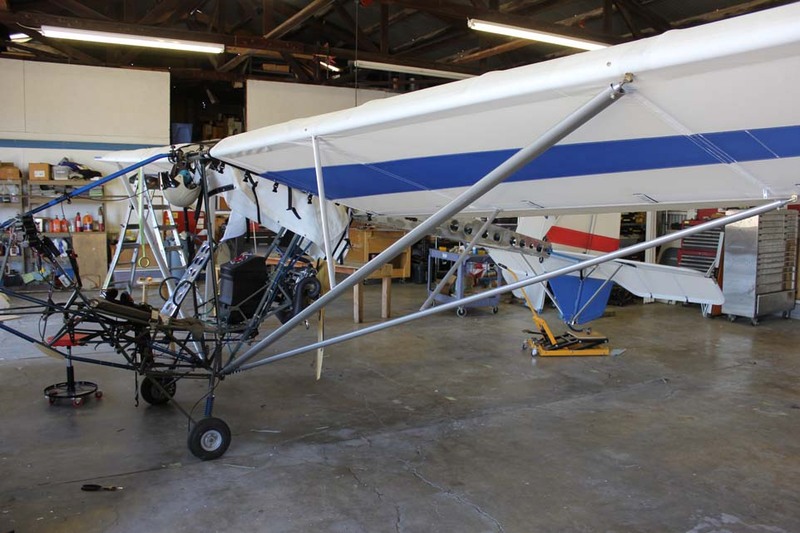 Next we will need to install the jury struts using the existing eye-bolts in the forward and rear spar’s. 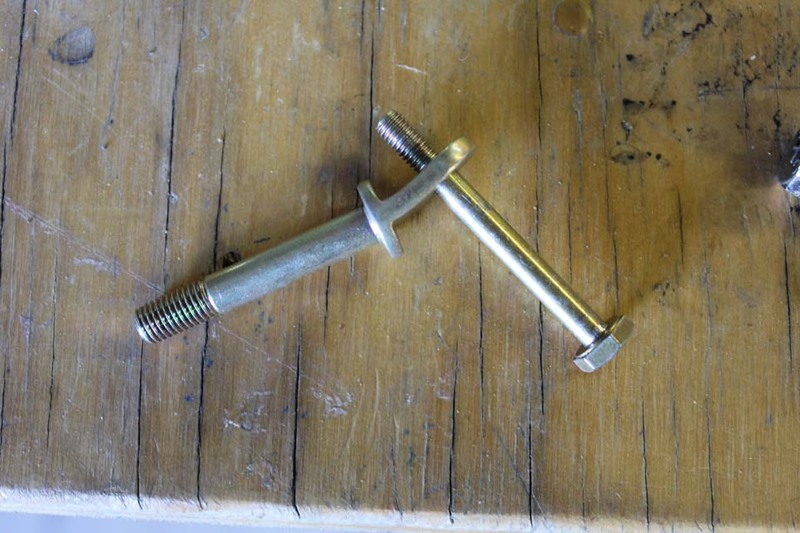 To attach the jury struts to the wing struts we are modifying a 1/4 inch diameter eye-bolt by bending the and to correspond with the angle of the jury struts attachment. 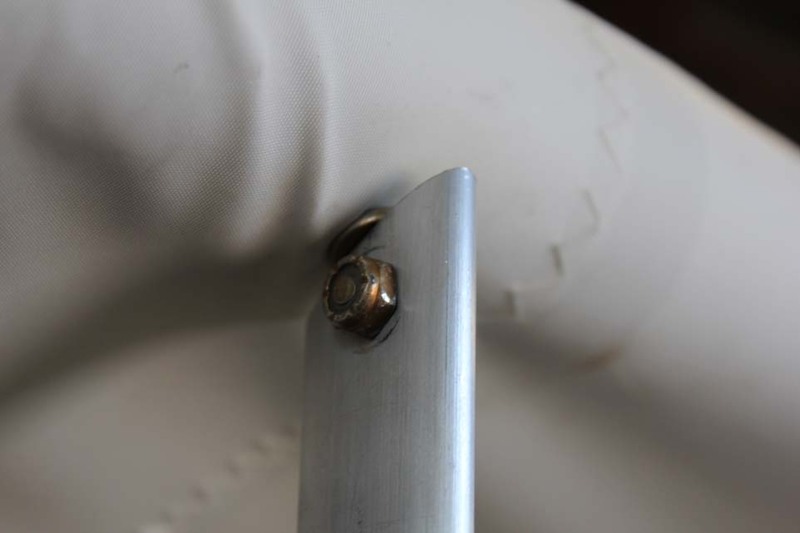 our initial plan was to bolt all the way through the strut however after installing the 1st one and realizing that the nut sticking out the bottom of the strut created Dragon could be eliminated we re-approached the attachment with a slightly different tact. attached to the sleeve we were able to eliminate the nut on the other side of the strut making for a cleaner installation. 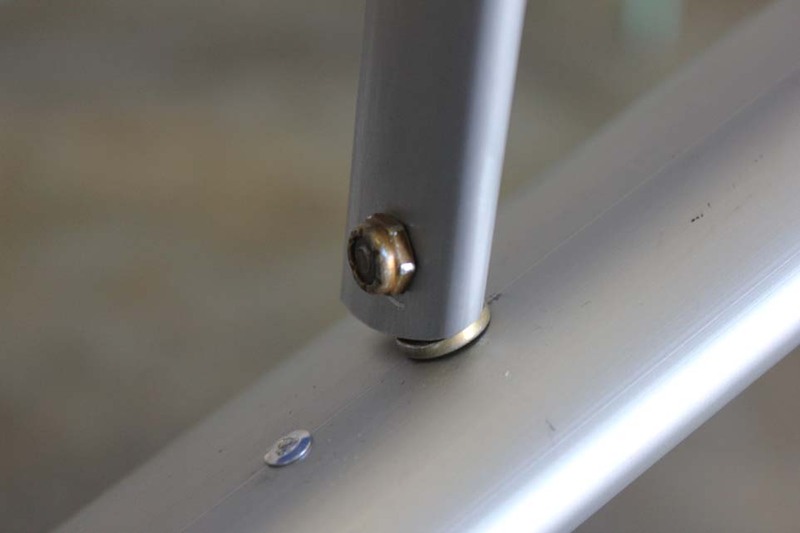 The rivet that shows up on the top of the strut next to the eye-bolt attachment simply positions the reinforcement sleeve and holds it in place during installation and removal of the eye-bolt. We as a regular construction miter saw for cutting the aluminum jury struts. A good high quality fine tooth carbide blade will work really well. This is not for the faint of heart and technique is extremely important. 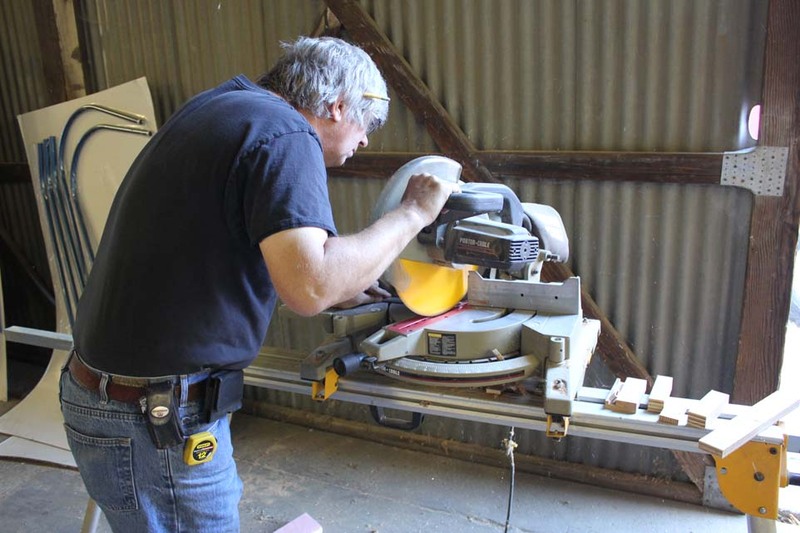 You need to go slow and have the material clamped or held really securely. We have a chop saw designed for cutting aluminum and steel which turns at about half the speed of the saw however it doesn’t have the miter feature which allows us to precisely place angles on to the cuts. Attachment of the jury struts at the wing spar. For drag reduction we are using a washer head screw with a thin nut and minimum amount of thread penetration through the nylock. 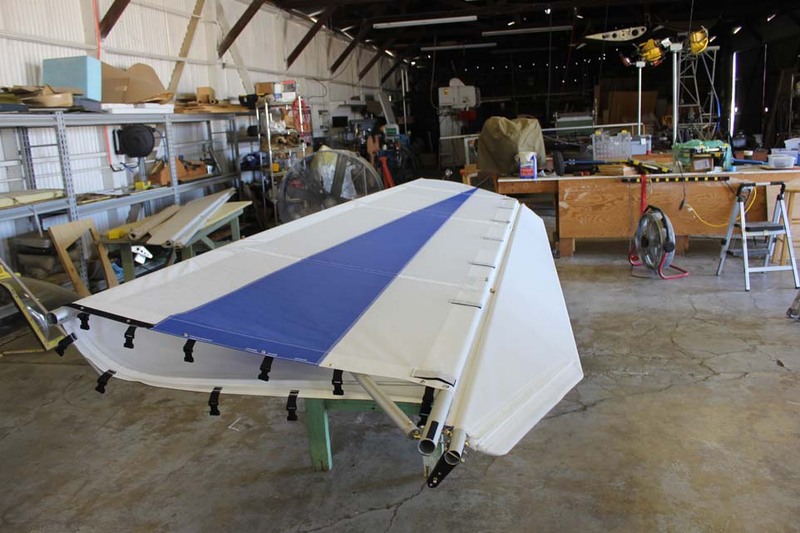 Jury strut attachment is complete on the left wing and we are now duplicating the process for the right wing.